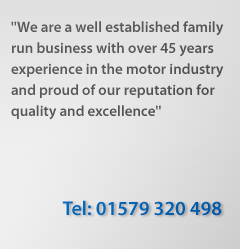 Here at Doublebois we service, repair and care for all makes and models of cars and vans. We pride ourselves on a reliable, efficient service complemented with our friendly technicians, 4 wheel laser alignment and latest diagnostic equipment. 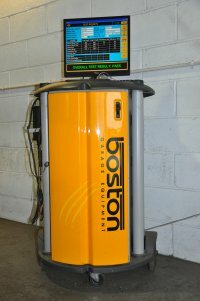 We carry out MOT's on Class 4, 5L and 7 vehicles. Anything above 3500kg (class 7) has to go to the Ministry of Transport for an MOT test, which we will happily arrange for you. Please see the commercial section of our website. MOT testers are regulated by VOSA (Vehicle and Operator Services Agency) and their training is updated regularly. If your vehicle fails the MOT we can either repair it in our workshops or you can arrange for the repair yourself and return to us within 10 working days for a retest. While you are waiting for your MOT relax in our refurbished waiting & viewing area. As you wait remember to complete our free MOT reminder form and hand back to reception. 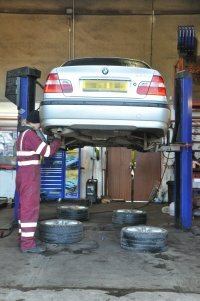 We will contact you next year before your MOT is due. We offer car and van roadside assistance. Our technicians are happy to come to your vehicle be it at home or on the road and if we are unable to get you back on your journey we will arrange recovery back to our workshops. Claude's son John runs our light vehicle workshops along with Darren both of whom have been in the trade since leaving school. They are assisted by Jak who is working his way through his apprenticeship.